Golden tickets are up for grabs and the red carpet awaits those lucky enough to walk it for a full-on VIP celebrity experience at the local premiere of the much-anticipated Mission: Impossible - Rogue Nation . This exclusive gala event takes place at Ster-Kinekor’s Cine Prestige theatres countrywide on Wednesday, 05 August. But, earning that much-sought after golden ticket is going to require a whole lot of creativity from you, the public at large. 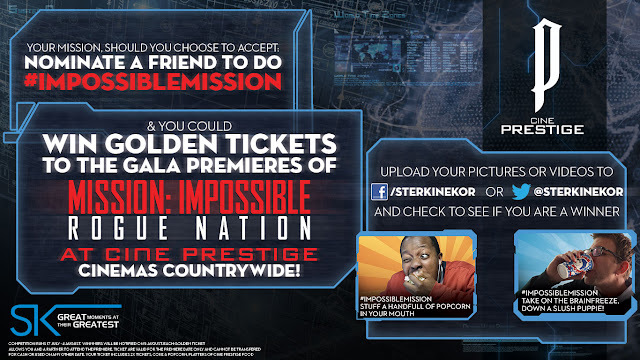 Ster-Kinekor has put out the challenge: accept or nominate someone to complete an ‘impossible mission’ – and you could find yourselves in possession of a pair of golden tickets. It can be crazy, it can be funny, it can be wild, it can be a mouthful, it can even be something out of this world… but, whatever the challenge, it’s got to be done in true Ethan Hunt-style! Once you or your nominee has accepted the challenge – and using #ImpossibleMission, the impossible mission needs to be photographed or filmed and posted to the Ster-Kinekor Facebook (Ster-Kinekor Theatres) or Twitter (@sterkinekor) page. So, get posting and remember you only have till 04 August to complete and post the challenge – and to find out if you need to get that black-tie or evening gown ready! On Thursday, 06 August, Ster-Kinekor will be showing a special pre-screening at 20:00 at all cinema complexes – including its five awesome IMAX theatres and its luxurious Cine Prestige cinemas. Bookings are now open. Directed by Christopher McQuarrie (Edge of Tomorrow; Jack Reacher), the film also stars Ving Rhames as Luther Stickell, Simon Pegg as Benji Dunn and Jeremy Renner as William Brandt, with Alec Baldwin as the head of the CIA. The running time of the film is 130 minutes. The age restriction is still to be confirmed, but it is expected to carry a 10-12PG classification. For more information on #ImpossibleMission and the movie, visit Ster-Kinekor on Facebook (Ster-Kinekor Theatres) or Twitter (@sterkinekor). Download the Ster-Kinekor App on your smart phone for updates and to book tickets from your mobile. To find out what other exciting promotions Ster-Kinekor has on offer, visit www.sterkinekor.com or sterkinekor.mobi. For queries, call Ticketline on 0861 MOVIES (668 437). 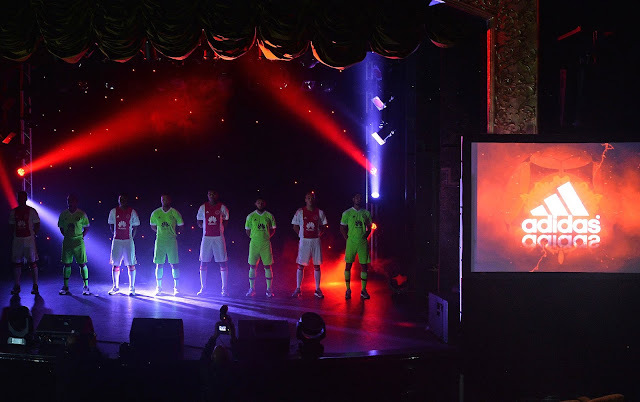 Ajax Cape Town revealed its new Home and Away kits for the 2015/16 Premier Soccer League season that kicks off next month. Coupled with the unveiling of the Adidas kit was the announcement by the club’s official shirt sponsor, Huawei, that it has renewed its partnership with the club for another year. 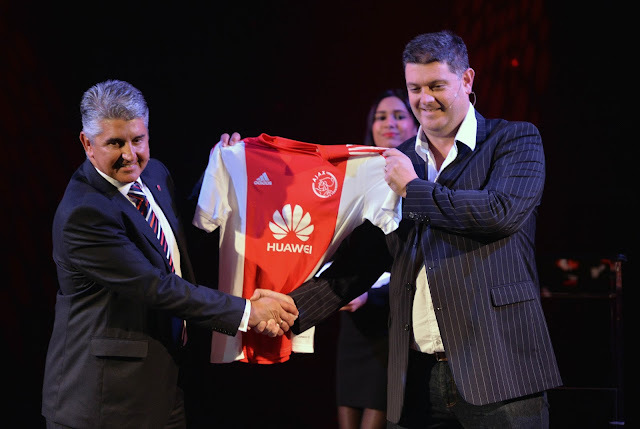 The Ajax Cape Town sponsorship announced last year was the first such deal in South Africa for the global smartphone brand. The team will don its new kit for the first time in its Cape Town Cup fixture against Sporting Clube de Portugal at Cape Town Stadium on 24 July 2015. The iconic shirt design and simple crew neck collar of the new Adidas Ajax Cape Town home jersey pays tribute to the rich history of the club’s Dutch Eredivisie heritage. The new Ajax 15-16 Home Jersey is modern and trendy with a rounded crew neck. In true Ajax fashion, the jerseys design boasts the traditional red chested middle with white side trimmings. The new Solar Green Ajax Away jersey boasts an eye-catching colour combination to stand out on the pitch. Adidas combines the main colour Solar Green with white three stripes on the sleeves, a white v-collar and white sleeve cuffs. The Adidas Performance logo on the front and the famous Ajax crest are black, while the bottom of the new Adidas Ajax jersey has a black stripe. 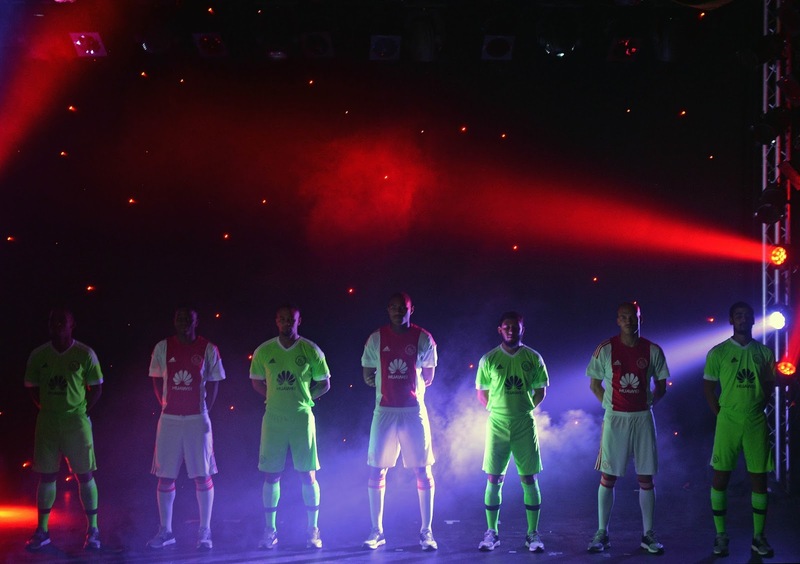 “Ajax is proud to see the maintenance of its iconic red and white design of the home jersey. 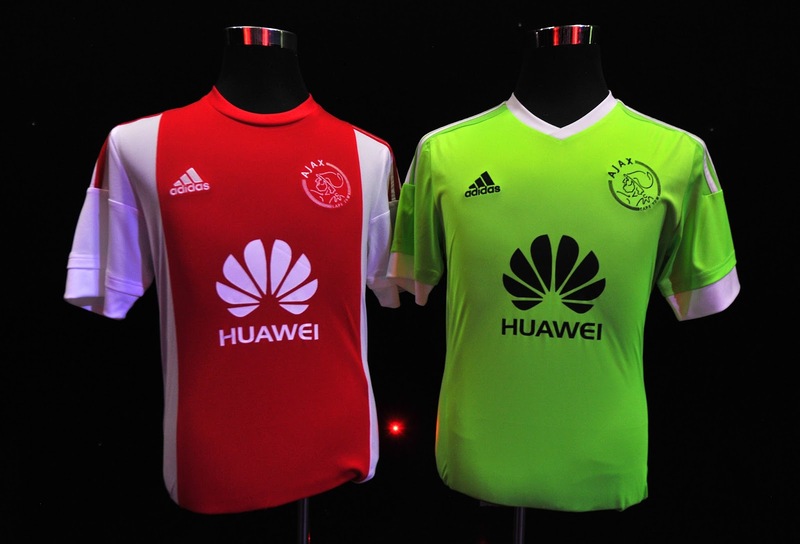 At the same time, we believe that adidas has surpassed expectations in being the difference and in creating a striking away kit that we are all excited about,” said Milo Boer, PRO at Ajax Cape Town. Rambaran said Ajax Cape Town is a perfect fit for the brand on numerous fronts. Firstly the links to the prestigious UEFA Champions League through the local club’s association with Ajax Amsterdam position it as a premier brand. 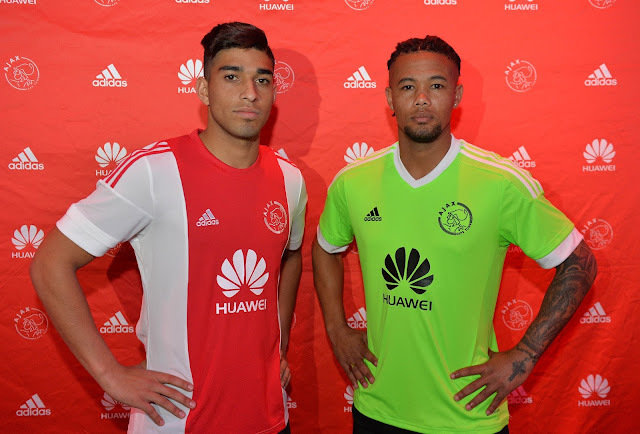 The sponsorship deal will benefit players who will be provided with Huawei devices and accessories, and therefore become brand ambassadors although Ajax Cape Town fans can expect to see even greater brand activation campaigns being rolled out in the coming season. This is considered an integral part of the partnership with the club, with the intention to build high profile campaigns and platforms that will bring the fans even closer to their football heroes. He added that the continuation of the Ajax cape Town is further demonstration of Huawei’s commitment to South Africa, its consumers and sports lovers. The Adidas kit features ground-breaking technologies beyond simple aesthetics that is sure to give Ajax Cape Town players an edge on the pitch. This technology is found in the adidas ClimaCool composed of heat and moisture controlling materials, ventilation channels and 3D fabrics to improve air flow to the skin ensures that athletes stay cool despite body heats rising during exercise. The new Home and Away kit is now available at Adidas Performance stores as well as many sports retailers countrywide at a recommended retail price of R649. I still remember the very first time I saw a Computer was way back in 1992 and it was running on MS-DOS and I started learning GW-BASIC programming on the same. ARKanoid was one of the games I used to play on the same machine. Since that time to today when Microsoft is launching it's new Windows 10, the technology in PC market has changed and upgraded itself a lot. Windows 10 is Microsoft’s new generation of Windows, specifically designed for this cloud-first, mobile-first world in which computing devices are ubiquitous, where familiar and personal meets productivity and cloud based ease of use. 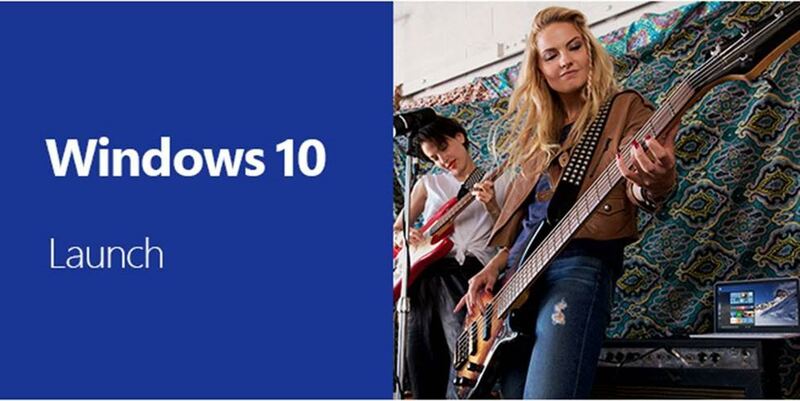 Come and experience Windows 10 for yourself as to how all of its new features and capabilities such as the Edge web-browser, universal Windows 10 apps and Continuum Mode will help Windows 10 users be more productive, more empowered, enabling them to achieve more and do great things! Microsoft has planned a huge rollout of Windows 10 starting on July 29. In addition to a number of global launch celebrations, Microsoft is kicking off a new Upgrade Your World initiative to celebrate people and organizations making a difference around the world. Windows 10 fan celebrations is happening in 13 cities around the world, including Sydney, Beijing, Tokyo, Sao Paolo, London, Berlin, Madrid, Singapore, Johannesburg, Nairobi, New Delhi, Dubai and New York City. As part of the new Upgrade Your World initiative, Microsoft will be partnering with 10 global and 100 local non-profits to help them upgrade the world. The nine global nonprofits we are announcing Monday are: CARE, Code.org, The Global Poverty Project, Keep a Child Alive, Pencils of Promise, Save the Children, Special Olympics, the Malala Fund, and The Nature Conservancy. Beginning on July 29, we will invite people around the world to nominate a 10th global nonprofit to participate. Microsoft employees are also receiving an extra day off to volunteer in their communities throughout the year, with thousands participating on July 29 in honor of the Windows 10 launch. The release of Marvel’s latest comic book super-hero, Ant-Man, brings one of the founding members of The Avengers to the big screen for the very first time. The film, just released in the USA, shot to the number one spot at the box office, and grossed US $57.23 million in its opening weekend! Now it’s the turn of super-hero fans across South Africa. Being treated to one of this year’s most anticipated Marvel films - before its official release locally – and being able to watch it in 3D on the big screen, in the luxurious comfort of Cine Prestige or in the immersive IMAX® theatre, is a guaranteed five-star night out for any movie fan. Ster-Kinekor is giving you the opportunity to experience Marvel’s Ant-Man first - for one night – on Thursday, 30 July at 8pm. The film releases nationally in 3D and 2D at Ster-Kinekor cinemas countrywide – including Cine Prestige and IMAX theatres – on Friday, 31 July, and bookings are now open. From Marvel Studios and director Peyton Reed comes Ant-Man. Armed with the astonishing ability to shrink in scale but increase in strength, master thief Scott Lang (aka Ant-Man) must embrace his inner-hero and help his mentor, Dr Hank Pym, to protect the secret behind his spectacular Ant-Man suit from a new generation of towering threats. Against seemingly insurmountable obstacles, Pym and Lang must plan and pull off a heist that will save the world. Having been forced out of his own company by former protégé Darren Cross (Corey Stoll), Dr Pym (Michael Douglas) recruits the talents of Lang (Paul Rudd), a conman just released from prison. Lang becomes Ant-Man, trained by Pym and armed with a suit that allows him to shrink in size, possess superhuman strength and control an army of ants. The miniature hero must use his new skills to prevent Cross, aka Yellowjacket, from perfecting the same technology and using it as a weapon for evil. Marvel’s Ant-Man also stars Evangeline Lilly as Hope van Dyne, Bobby Cannavale as Paxton, Michael Peña as Luis, Judy Greer as Maggie, Tip ‘Ti’ Harris as Dave, David Dastmalchian as Kurt, Wood Harris as Gale and Jordi Mollà as Castillo. Peyton Reed directs Marvel’s Ant-Man with Kevin Feige producing and Louis D’Esposito, Alan Fine, Victoria Alonso, Michael Grillo, Edgar Wright and Stan Lee serving as executive producers. Marvel’s Ant-Man promises a high-stakes, tension-filled adventure as its blasts its way onto Ster-Kinekor cinemas across South Africa from Friday, 31 July. The running time of the film is 1hr 55 mins, and the classification is still to be confirmed. Seeing Ant-Man in full-on, in-your-face 3D promises an amazing sensory viewing experience – but, be warned, you need to hurry and book your tickets now! The exclusive pre-screening takes place in cinemas at all Ster-Kinekor sites across the country on 30 July for the 20:00 show only. Ant-Man releases nationally at Ster-Kinekor cinemas on Friday, 31 July. Die-hard IMAX® fans will be pleased to know that Ster-Kinekor is releasing the film in IMAX® 3D in all five of its IMAX® theatres: Gateway in Durban, The Gove in Pretoria, Cape Gate in Cape Town, Baywest in Port Elizabeth and Cradlestone in Krugersdorp. For more information on the exclusive Ant-Man pre-screening and to make bookings, download the Ster-Kinekor App on your smart-phone. To find out what other exciting promotions Ster-Kinekor has on offer, visit www.sterkinekor.com or follow @sterkinekor on Twitter or Facebook at Ster-Kinekor Theatres. For queries, call Ticketline on 0861 MOVIES (668 437) or you can book at the box office. Headphones and me are like best friends, no matter how much time I spent with them, I want more of them all the time. I keep getting and buying headphones/earphones all the time and even sometimes the contest I won has headphones as prizes but never I got the same ones so the collection keeps on growing as I never think of selling my well deserved prizes. It was a dream to own a pair of Sennheiser MOMENTUM headphones since it's launch some years ago and the dream was made possible by Aramex Global Shopper. They gave me an opportunity to blog about their services along with a USD 100 voucher which I used to buy these as compared to Motorola 360 Watch or Amazon Fire phone which were also in my wishlist. I got these within a week from Amazon USA using Aramex Global Shopper and didn't had to pay any customs etc to get them in Johannesburg, South Africa. Thanks a lot to AGS for making this dream come true! Read the posts Part 1 and Part 2. My association with Sennheiser is something like that I have never bought any of their earphones or headphones by paying the actual money and just by consuming all the gift vouchers I receive and won some of the models via Indiblogger contests and Sennheiser facebook pages in UK and India. I really admire the Pursuit of Perfect Sound and felt crazy when they launched a new one called Urbanite when I got these so more dreams are in the making now as I continue to enjoy this beauty called Sennheiser Momemtum On-Ear Black which has Stunning Sound in Sensational Style. Momentum On-Ear looks amazingly cool and awesome with the right combination of stainless steel and Alcantara material which is soft and breathable procured from Milan. Alcantara is an artificial substitute for Suede Leather and that the feel the composite material gives to you. The headband is also covered in the same material with colorful stitching which makes the look and feel of these headphones urbane to match modern lifestyle. The touch and feel of headphone is rich and expensive due to it's build quality. The packaging looks cool and contains Momentum On-ear headphones with velvet carrying case along with a cloth carrying case. The box also contains standard connection cable as well as special cable with smart remote & mic which gives some extra functions if you are using compatible Apple devices. The extra functions that can be accessed using this cable are turning volume up and down, press play and pause, answer/end/ reject a call, skip to next / previous track and activate voice control. Momentum On-ear headphones are available in 7 colors including some pastel colors - Black, Red, Green, Blue, Brown, Pink, Ivory. I wanted to buy Blue ones but they were expensive as compared to Black ones. Red and Ivory also looks amazingly great. I was attracted to Red ones when I saw someone wearing the same at Doha International Airport, Qatar. The headphones weight around 160grams including the remote cable and light to wear on the ears. The size of the band can be adjusted using the side sliders and they fit tightly on your ears. It's good as they keep where you put them but also ears starts paining after a while but will revert to normal if you take them off after every hour or so for a minute or so. Momentum On-ear Headphones has impedance of 18 Ohms and frequency response is 16 - 22000 Hz. The benefit of this is that these gives full stereo sound with very good details of music in play. I really loved the sound quality of these headphones. The ear coupling is Supraaural and transducer principle these headphones works on is dynamic, closed bring the best for you in these niche market segment of headphones. The sound produced by these On-ear headphones will bring classical and bollywood music fans to simply say WoW! I would love to receive the Urbanite from Sennheiser for review or to keep forever. In the end, I would thank Universe for making all my dreams come true sooner or later as I simply loved these headphones and always wanted to have one in my kitty. If you are looking for something which looks beautiful and produces great sound output then Sennheiser On-Ear headphones are made for you. These will last you long if you take care of them properly and keep them in the supplied carry cases. Till that time, keep listening to the awesome music by talented artists around the world created everyday for you! Ster-Kinekor is treating dozens of homeless children to a fun day out at the movies at four of its key sites, in celebration of Mandela Day on Saturday, 18 July. In addition, the company will provide 67 sight-impaired children from the Durban area with free pairs of spectacles. “This fun, ‘giving back’ event is an integral part of Ster-Kinekor’s ‘Vision Mission’ project, its flagship corporate social investment programme that celebrates its 10th anniversary this year. The project provides corrective eye care to disadvantaged learners, in partnership with various organisations including Brien Holden Vision Institute and the Department of Health,” explains Geraldine Engelman, CSI Manager of Ster-Kinekor Theatres. The action unfolds on Saturday morning at Ster-Kinekor’s premier movie houses at Sandton City in Johannesburg, The Grove Mall in Pretoria East, Cavendish in Cape Town and Gateway in Durban. At each of these four cinemas, 67 children will be treated to a free screening of the popular Minions movie, as well as a drink and popcorn to enjoy inside the cinema. All the children, from around the catchment areas of the four cinemas, will be hosted by Ster-Kinekor staff on Mandela Day. At Gateway, the 67 children from St Monica’s Children’s Home at the Bluff, south of Durban, and Umlazi Place of Safety, part of the Integrated School Health Programme in KwaZulu-Natal, will not only enjoy the movie, but will also each receive a free pair of spectacles. At Cavendish in Cape Town, youngsters from St. John the Baptist and St. Vincent De Paul in Atlantis will be hosted, while at Sandton, children from Remar South Africa (a homeless institution) and Sisters We Can (a life-skills support programme for homeless girl children), will enjoy the movie treat. The cinema at The Grove will entertain children from House Tekna, a place of safety in Bela Bela, and Jacaranda Children’s Home. “Our objective with ‘Vision Mission’ is to provide corrective eye care to disadvantaged learners and, for our young guests in Durban, Mandela Day offers the perfect opportunity to give them the gift of clear sight. “Making a difference is what Mandela Day has come to represent for all South Africans, and we are thrilled to be able to host these children to a memorable cinematic experience. Being able to walk into a darkened cinema and watch in wonder as a fantastical story unfolds before your eyes, in a larger-than-life format on the big screen, is going to be a magical experience for all these children. We would like to thank all our partners in this project for coming to the party for Mandela Day,” comments Engelman. Ster-Kinekor customers can also make a difference on Mandela Day – and every day – to assist Vision Mission in achieving its objectives. When booking online (www.sterkinekor.com) or at one of the self-service terminals in the cinema foyer, opt in to make a contribution – from an amount as small as R2.50 – to Vision Mission when prompted during the booking process. “One click is all it takes to give someone less fortunate a clearer vision of their future – and every cent does make a real difference to someone’s life,” concludes Engelman. Watch the amazing movies at the Ster Kinekor and do your little effort to bring great moments to many children around South Africa! Bajrangi Bhaijaan (2015) is an emotional drama with a purpose directed by Kabir Khan and produced by Salman Khan and Rockline Venkatesh. This is the first film under the banner of Salman Khan Films (SKF). The movie is about a guy played by Salman Khan from a small town who is a Lord Hanuman devotee. He sees very less success in everything he does in his life but then also continues with his child like innocence and pure heart. Somehow his life gets crossed with a 6 year old girl played by Harshaali Malhotra who can't speak and who came to Delhi for a religious trip with her mother from Pakistan and misses her train. It's a process now for Pawan Kumar Chaturvedi aka Bajrangi to find out the details and whereabouts of the girl as he gets to know her more with each passing day. The flashback shows the long story between Bajrangi and Rasika played by amazingly beautiful Kareena Kapoor Khan. She looked gorgeous in all her scenes but has very less role to play in the second half of the movie. The romantic song "Tu Chahiye" which is sang by Atif Aslam has been shot very nicely and this is the first time, he has sang for Salman Khan. All the songs of the movie are really great to listen and cinematographically great. I really loved Adnan Sami in a Qawwali - "Bhar do Jholi Meri" during the climax of the movie. The story shows a lot about the perceptions that we create in our minds by the difference of religion, caste and countries. Salman Khan has played that very well as his role as a devotee of Bajrang Bali and how others around him also has the similar thinking pattern. Some of the great scenes are those when he starts breaking the same due to his growing love and care for Munni. Harshaali has great divine face and smile and when she cries, I am sure everyone will cry with her. She is awesome in all her scenes and Salman Khan has played his role superbly and this is the first time you will see him in an non-macho role. There are some fighting sequences but that also are shown to keep it minimized in the whole movie. 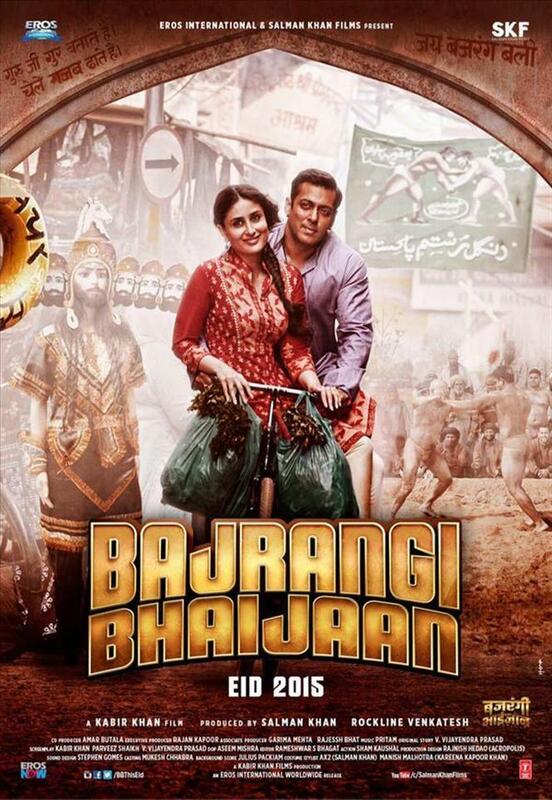 The first part of the movie builds up the story as Bajrangi tries to identifies the girl and his own life story. The second part is the defining moment as he starts his journey to Pakistan to take Munni to her parents. The journey starts and is soon joined with none other than a Pakistani press reporter played by Nawazuddin Siddiqui. It's only when he joins the team, the travel and related fun starts. He is simply superb as he takes the center stage and steers the movie through various parts of the travel towards the final destination and meeting different kinds of people as they hide from the police and authorities. He is a versatile actor and no movie is complete without him whatever character he plays these days. I am sure that he will pick up the Best Supporting Actor (Male) this year at the Filmfare awards. There has been some disconnections and missing context in the movie in the first part. The editor could have taken some 10-15 min out and made the movie more interesting but nonetheless the Bajrangi Bhaijaan is definitely a heart-warming story which will bring a lot of peace and hope in the hearts of every Indian and Pakistani residents around the world. A must watch with all your family and you will be entertained for sure and keep your handkerchiefs ready for both tears of sorrow, joys and laughter. The last ten minutes requires it the most and no matter how harder you try to stop tears, they will simply not stop flowing! Kudos to Kabir Khan who has created a movie to cherish forever and more when "Aaj ki Party" song will be added to the movie. 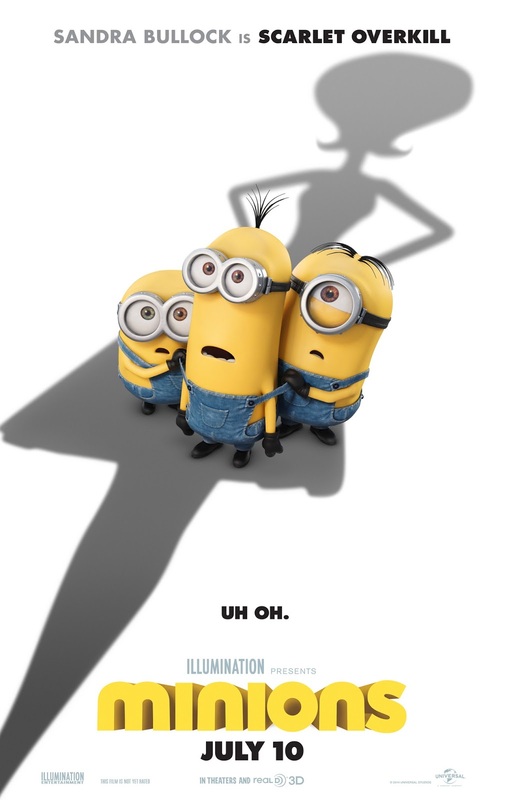 The movie released in Ster-Kinekor on 17th July and book your tickets now. Doritos fans that are hungry for adventure are in for a treat with the introduction of Doritos JACKED; a Bigger, Thicker, Bolder, JACKED up version of all the things you love about your favourite tortilla style corn chips. I still remember the first time I tried nachos and how crazy I went for them after that. I always used to go to one particular cinema hall which used to serve Nachos so that I can have them with Salsa dip as I continue to enjoy the action on big movie screens. Inspiring you to aim for bolder heights and push the boundaries of your experiences, new Doritos JACKED is like nothing you have experienced before. With even more crunch appeal, each Doritos JACKED tasty triangle packs an intense flavour punch with a choice of either Spicy Nacho or Smokin’ Hot BBQ in a bigger 230g bag. These new packs really gives you a real party feel to the whole snack time event. Doritos JACKED is also inviting you to celebrate with them the new launch of this party packs. One lucky fan and three friends stand the chance to jet off on an unforgettably bold, five day, four night adventure to the ultimate party destination, Ibiza*. To stand a chance to experience some of the best parties Ibiza has to offer, follow Doritos JACKED on Facebook (facebook.com/DoritosSouthAfrica), or look in-store for details. In 1925 His Royal Highness Prince Edward of Wales toured South Africa and played in a series of polo matches as he experienced the magic of Africa through the sport of kings. At the end of his visit he donated a cup that was to become the centerpiece of the tournament we know today, starting a long history of South African polo at its best. As one of the prime events on the polo calendar, the Prince of Wales Cup has a lot riding on it for the South African polo community. The best players in the country compete in their provincial teams for the prestigious cup and the honour of being chosen for the South African national team. Previously held in KwaZulu-Natal, South Africa, the event found its way to Johannesburg in 2014. Taking place on the last weekend of August every year, this celebrated three-day tournament attracts polo fans, seasoned aficionados of the polo lifestyle and newcomers looking to experience this royal sport in a discerning way. The Prince of Wales Polo Cup has added a sophisticated new layer to polo by embracing the unique style and vibrant energy of the City of Gold, Johannesburg. After a huge successful tournament last year, Mr Concierge and the South African Polo Association is proud to consecutively bring the Prince of Wales Polo Cup to the Waterfall Polo fields, Johannesburg again paying tribute to the art of polo and creating an event worthy of the title the sport of kings.. Whether guests prefer the exclusive West Bank fine dining experience for business or pleasure, or the less formal East Bank in the sun with friends and family, there’s a little bit of decadence for everyone. With the 2015 theme of: A prince, a cup, the land: A royal legacy; come and enjoy an afternoon well spend filled with sheer heritage, where the world class game of kings will be brought to you. Expect fun activities for kids as well as a polo lifestyle brand exploration on the East Bank picnic setting, where a variety of scrumptious food and drinks will be available for sale. Mark your calendars if you want to be there and book your tickets well in advance and if you are free on friday, just take a stroll to the venue and enjoy the tournament for free. Atleast that is my plan to take a walk and see the glimpse of action without causing any stress on my wallet. Follow the action on twitter, facebook and Instagram. Life of Crime (2015) is a situational crime comedy directed by Daniel Schechter who has earlier directed "Supporting Characters" in 2012. 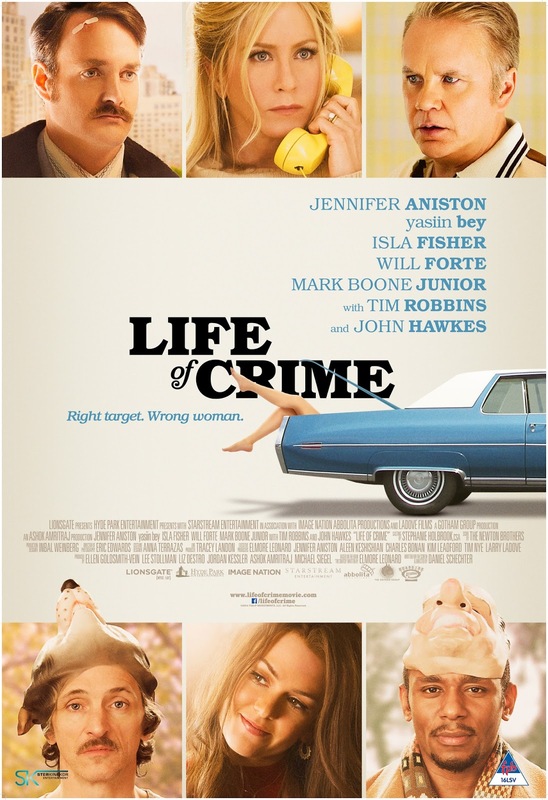 Life of Crime stars Jennifer Aniston, Isla Fisher, Will Forte, Yasiin Bey, Mark Boone Junior, Tim Robbins and John Hawkes. The movie is based on the 1978 novel names "The Switch" by Elmore Leonard. The movie is a story about two persons trying to make some quick by kidnapping a real estate business tycoon's wife but they never knew that he is going to file for divorce soon. Even the wife character played by Jennifer Aniston doesn't know of the same. He has fallen in love with another girl who eventually helps the criminals with a right strategy to turn the tables around. What happens and how that happens as they try to make the best out of each situation along with various other characters with their own selfish reasons makes this situational comedy a worth watch. The acting of both the thugs played by Yasiin Bay and John Hawkes is the only motivation to see the movie though Jennifer Aniston has tried to bring the charm back on screen. Isla Fisher looked good and classy in several of her scenes and brings a fresh perspective to the movie. The movie is very slow as events happens at slow pace and is set in 1980's backdrop. I didn't liked the movie that much as these days you see some fast paced action happening in other movies which keeps your adrenaline going and this one has no such thing in the same. If you have the patience to watch the slow paced movie, you will enjoy the same a lot. The movie got released on Ster Kinekor and MonteCasino last week. Indian Community in Johannesburg keeps on celebrating different cultural and religious festivals from time to time and here are some snapshots from one of the event. Sony SmartWatch is now in it's third edition and there has been significant improvements with time in this day to day smart watch. A lot of focus by all the manufacturers is on the fit bands, activity trackers and smart watches. Every one of them seems to capture a lot of details about your lifestyle and tracks you all the time. It's like some powerful genie of sensors making a note of all your stuff and then presents it to you via several apps on your smartphones. 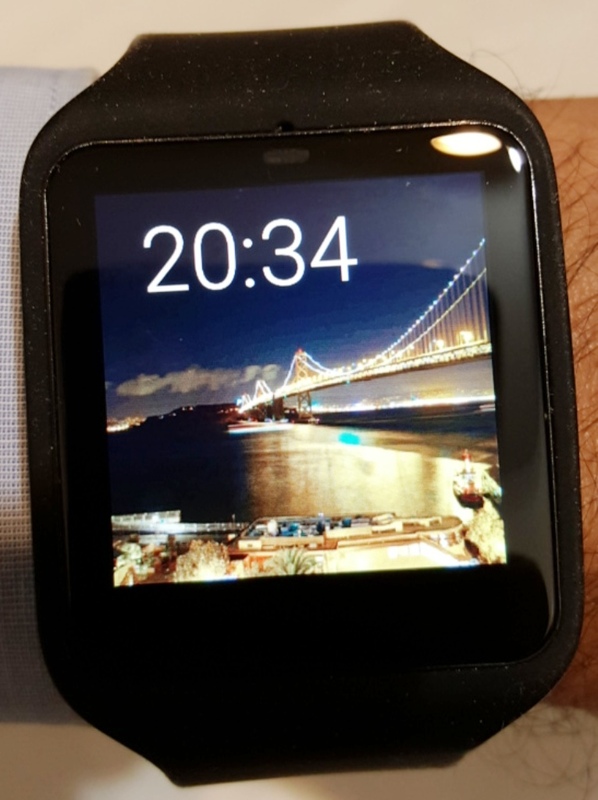 Sony SmartWatch 3 is definitely a great device which comes feature packed from the house of Sony. I really wanted to use the same since the first avatar was launched as I have always been on the Android ecosystem since 2010. All these devices are powered using the Google's Android Wear platform which gives them access to Google Now and various other apps from the Google Play store. A lot of new apps are launching everyday as this market continues to flourish and analog watches will soon be a history unless you are wearing something worth thousands of dollars on your wrist or have some emotional attachment with the watch given by dad or mom or anyone who loves you. I got this review device for some days and instantly got connected with the same via my android smartphone. The battery life of this watch is 2 days in normal use if you are not getting enough notifications and calls. The battery placed inside the watch is 420mA and gives you a complete day of notifications, vibrations alerts to calls, twitter feeds and many more functions if you using anything above 4.3 release of Android OS. 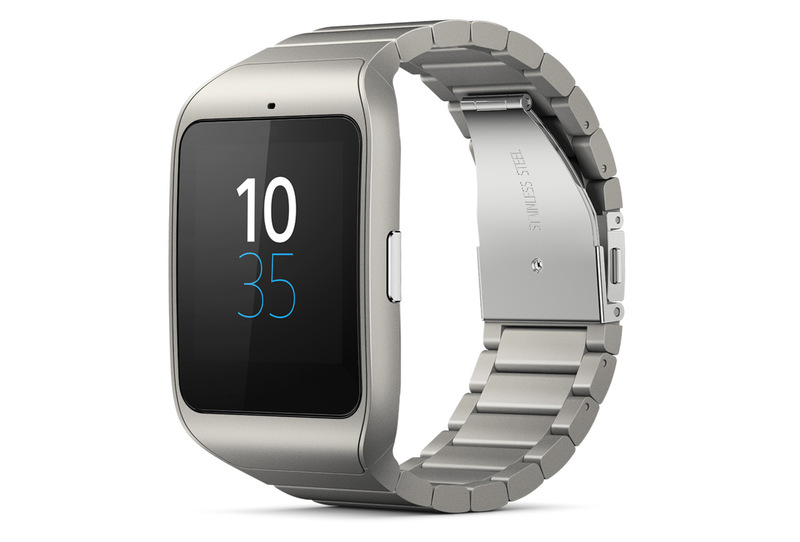 Sony SmartWatch 3 is powered with Quad ARM A7 clocked at 1.2 GHz along with 512MB of RAM and 4GB eMMC ROM. This is sufficient to take care of all the stuff you can do with your smart watch. The watch got updated on my wifi network to the latest edition for Lollipop updates and I got access to a lot more features. The best thing about these watches is the display which is 1.6" transflective meaning it can be seen from all the angles and under direct sunlight too. The pixel density is 320x320 but can be improved in subsequent releases to have retina display. I loved the ever changing display of watch faces on this device and never I had to see the same again in many days. You can also buy watch faces from the Google Play Store. The notifications from whatsapp, twitter were easy to follow even while driving a car as you hand remains on the steering wheel and eyes on the road. The watch weights only 45 grams and can easily replace your existing analog or digital watch to bring you much more functionality. The packing contains the SmartWatch along with a micro-USB cable to charge the device. 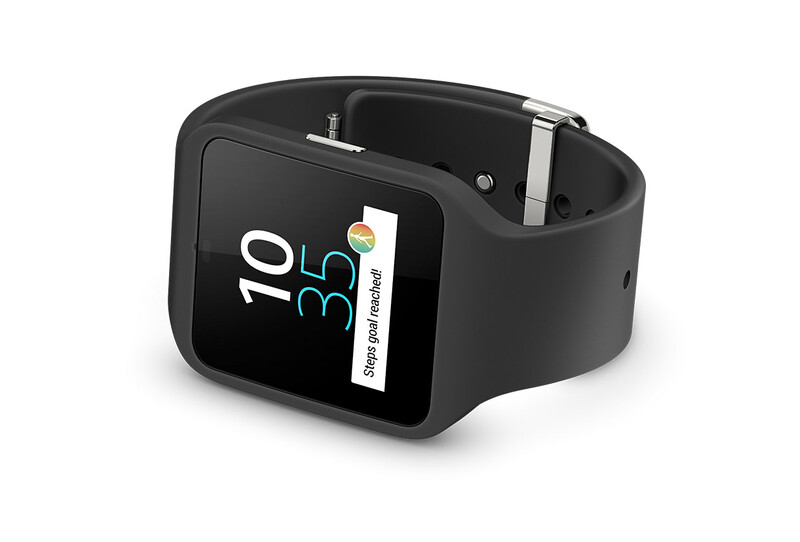 Sony SmartWatch 3 is waterproof (IP68 rated) meaning it can easily sustain water and dust under certain conditions. The only port is at the back of the watch which is covered by silicon strip to charge the device via a micro-USB cable. It takes around 2-3 hours to fully charge the device. The wrist straps are available in many colors and variants but I received this device with the sports band in black color. The strap is adjustable to any wrist size within normal range. Sony SmartWatch 3 takes your voice commands via "OK Google" as well as touch and gesture input. There is a single button to wake up/on/off the watch on the right hand side of the watch. Dragging the notifications on one side of the watch removes them from the watch. The more you use the same with compatible apps the more statuses/notifications/reminders/weather you will get on the watch. SmartWatch 3 has GPS to keep track of your daily runs/jogging via certain apps as you no longer need to carry your smartphone. Also the device's internal memory (4gb) can be filled with your favorite songs which can be accessed via bluetooth earphones/headphones and you are sorted for life for all your fitness activities and no longer need to worry about big screen smartphones display cracking in the gym or phone falling out from the pockets. In the end, this was my first smartwatch review as earlier I did fitness trackers only but I really loved the same and it made the access to notifications so easy that I never have to open my phone until the battery dies on this device. If you are looking for something that gives you all these features on your wrist, try this one from Sony.